Travel back in time 230 years to the revolutionary days with this authentic colonial costume. This is a great way to experience a little piece of history by dressing the part as well as having a bit of fun. This cute boy’s outfit includes an authentic hat a pair of brown knee length trousers a brown vest with cream frilly attached sleeves and cream jabot to match. A lovely lace trim detail lines the jabot and sleeve cuffs. For a more authentic look and a more intense experience clip gold or silver buckles to your shoes add a pair of clear round eye spectacles and a swashbuckler pistol to your outfit. 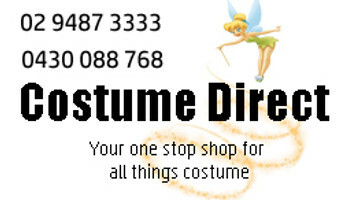 As well as being a great costume piece for social occasions such as Halloween and other seasonal parties this is an exceptional piece to collect for school productions and plays.